November is the busiest month for holidays in Panama. With not one, but TWO celebrations for independence, there are plenty of reasons for a party. In fact, there are actually five, yes, FIVE national holidays in Panama during the month of November. Grab your pen and make note of when these holidays will be occurring and stock up on groceries and vino before the masses hit the beaches to celebrate! You may also want to find your ear plugs if you do not like loud music (LOTS of Michael Jackson and Electronica!) playing until all hours of the morning. It also wreaks havoc with traffic, so plan your journeys accordingly and whatever you do, do NOT drink and drive, as the police are out in full force and have zero tolerance for drinking and driving. In addition to it being super-busy at the beach, be aware that it also means five days that the banks, public offices, lawyers’ offices, etc. are all closed. 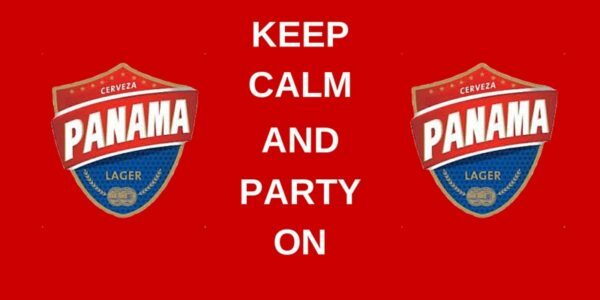 Do not expect much to happen in business during the month of November, as most of the country is in “party mode.” Panamanians love to celebrate and they have plenty of reasons to do just that during this month. Colorful polleras and intricate headdresses fill the streets of Panama City as the Panamanians show off their national dress and celebrate their independence from Colombia since 1903 (which then consisted of Colombia, Venezuela, Panama and Ecuador). They dance the traditional El Tamborito and El Atravesao through the streets, as military processions and a multitude of school bands fill the air with music, sharing their joy in celebration. This parade generally takes place on one of the main streets of Panama City, which is shut down for two days to accommodate the parade and celebrations. This is a public holiday across Panama as they celebrate the adoption of the national flag of Panama on November 4th, 1925. Maria Ossa de Amador designed the flag in secret as they patiently awaited their independence from Gran Colombia. The design of the flag reflected the political situation in Panama at the time. Each section of the flag had a special meaning: BLUE represented the Conservative Party, RED represented the Liberal Party and the WHITE sections stood for both purity and peace. This is the day the Panamanians in Colon managed to convince the Colombian officers at the port not to fight Panama’s separation from Colombia, securing the country’s independence once and for all. It also commemorates Christopher Columbus’s arrival to the Americas. This is the day that Panamanians remember the “uprising in Villa Los Santos” against the Spaniards, which was the first cry for independence from Spain. On this day in 1821, the villagers of Los Santos spoke up about their unhappiness with Spanish governance and asked for revolutionary assistance. This holiday commemorates Panama’s independence from Spain, celebrating almost two centuries of freedom from colonial rule. Just 18 days after the Shout in Villa de Los Santos, Panamanians took the first step toward their independence. In an open town meeting, Panama was declared a sovereign entity and freed from the control of the Spanish Monarchy, joining with Gran Colombia in 1821. If any of the above holidays fall on a weekend, Panamanians create a “bridge holiday”, which extends the holiday until the following Monday. Thus, Monday, November 7th is the day off work for Colon Day.